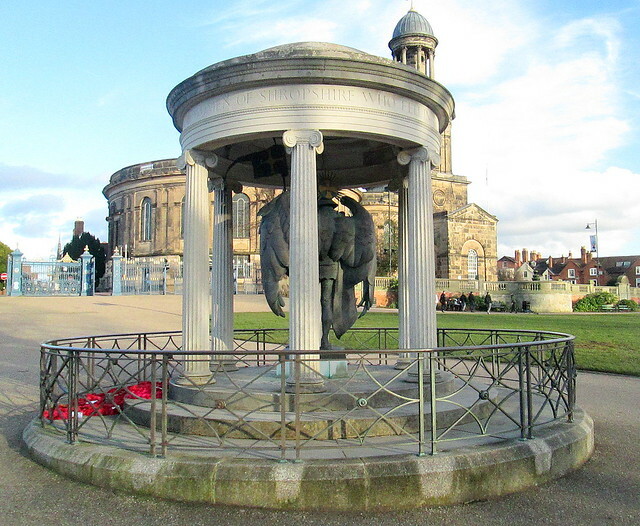 Shropshire War Memorial, Shrewsbury 3 | Flickr - Photo Sharing! Figure of St Michael Archangel. St Chad's Church in background.